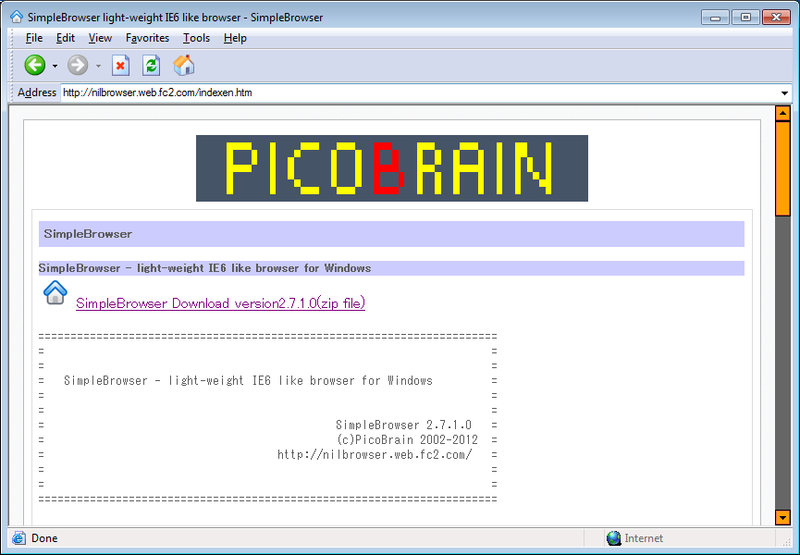 SimpleBrowser is a light-weight, free IE6 - like WebBrowser. and works  on NT-based versions of Windows. Close to None "The webpage you are viewing is trying to close the window.Do you want to close this window?" Warning. - Fixed Browser Window focus issue. your computer. To uninstall SimpleBrowser, simply delete a file. Many thanks to everybody for sending me bug reports and useful hints. SimpleBrowser is FREE SOFTWARE and may be used and distributed freely. this software is AT YOUR OWN RISK.